World Security’s powerful interactive security platform gives you unprecedented control over your property. With easy-to-use apps and web interfaces, you can arm your system, monitor sensor activity, watch live video, and control lights and thermostats — all from a smartphone or web enabled device. World Security gives you the control you should expect in home security. Check in on your property while at work or on vacation, arm or disarm the system remotely from the office, get activity history, turn the lights on or off, adjust the thermostat, view live video and send commands to your security system all from the palm of your hand. Make your security system your own – Click Here to see plans starting at less than $2.00 a day. 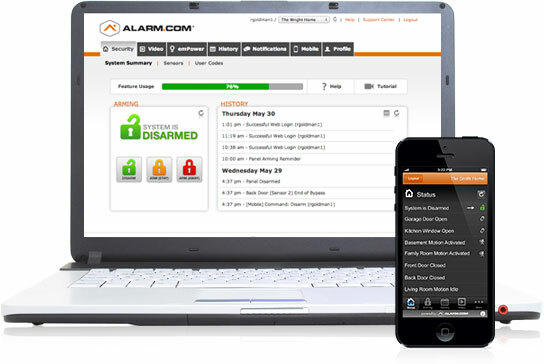 World Security’s online management tools give you the ability to customize your home security system. Set up custom notifications, create personalized rules, add system users, create energy-saving thermostat schedules and set specific video recording triggers. Set up your system online, download the app and you’re in control! Get text updates and status alerts from your property so you know what’s going on back at your home or business.